In our mission to share the beauty that surrounds us here in Harford County, we bring you our 2018 Calendar titled “Divine History of Harford County”. This opportunity will give our residents, and visitors alike, twelve breathtaking locations to set out and discover! 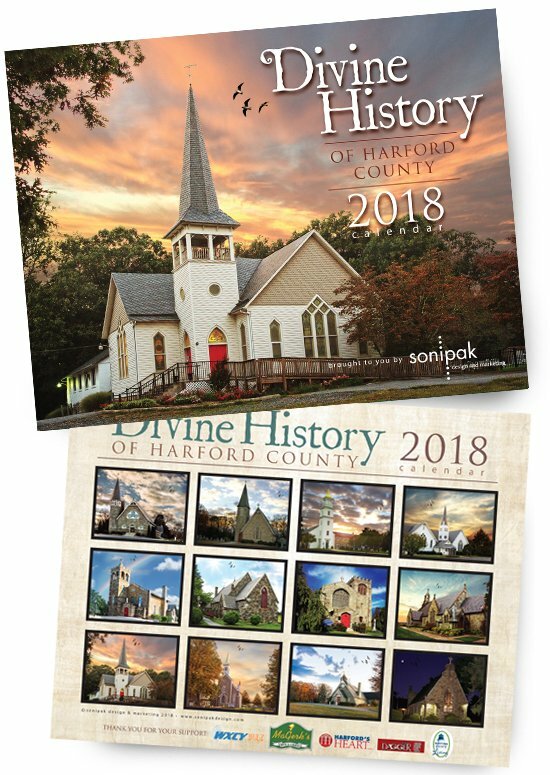 This calendar features our county’s most historic places of worship. 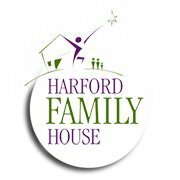 Vision: Harford Family House, Inc. is committed to ending homelessness for families with children and unaccompanied young adults in Harford County, MD. How you can help: There are many ways for you to get involved. Below are some of the many possibilities. Chip Emely has specialized in technology for more than 30 years. In 2005 he joined forces with Sonipak Design to create solutions to help small businesses leverage technology. An entrepreneur at heart, Chip focuses on helping a business become an extrovert on the Internet. His web development experience spans more than two decades starting in 1994, only two years after the birth of the World Wide Web. Chip’s technology experience extends to photography, which has been a lifelong interest since the days of film. Aurora Kahoe is a Graphic Designer and Photographer based in Harford County, Maryland. She joined the creative team at Sonipak Design in 2015 where she exercises her passion and talent for design and photography.